If Nature’s Eye Beach Resort’s house rules were written on a piece of paper, I imagine that this particular line would be underlined. We have come to the time when we have to be reminded to engage in real human interactions. Just when communication became as easy as breathing, people have become more distant from one another. Meeting but not really talking, fully absorbed in the life pulsing on the other side of the digital screens. As Alanis says, “Isn’t it ironic?” I am no exception, my relationship with social media is bad, like Brokeback-Mountain-I-wish-I-knew-how-to-quit-you bad. How does a social media addict see a place with a no-Wi-Fi rule? A rehab, that’s what, and it might just be what I needed. 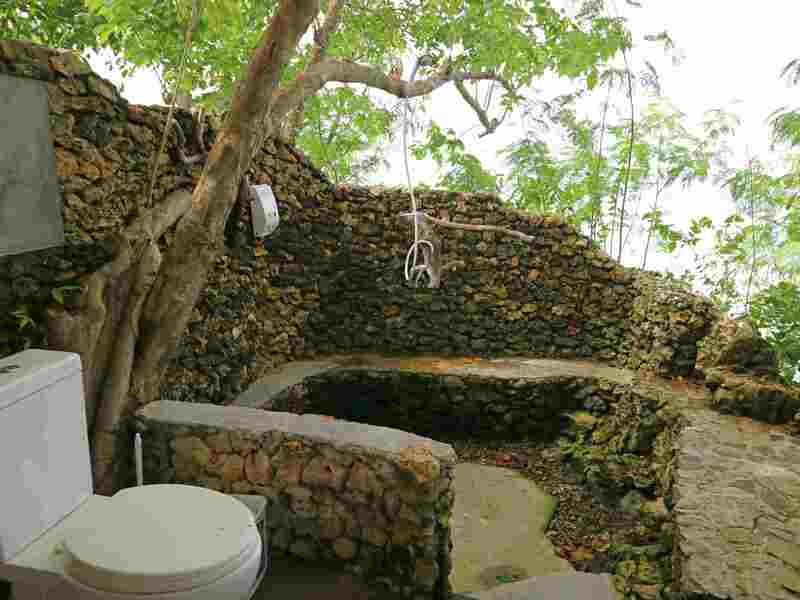 Nature’s Eye Resort is located in Nueva Valencia in the province of Guimaras. 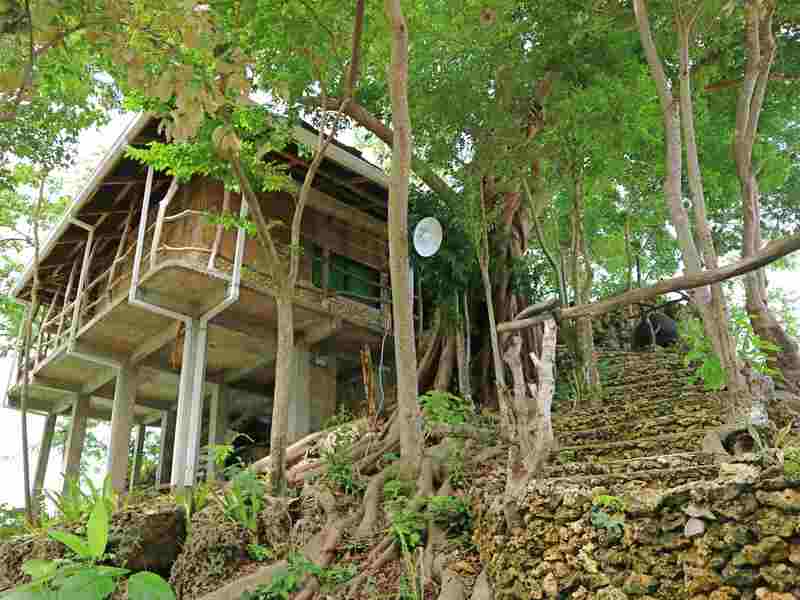 The resort is perched on a cliff overlooking Panay Gulf. 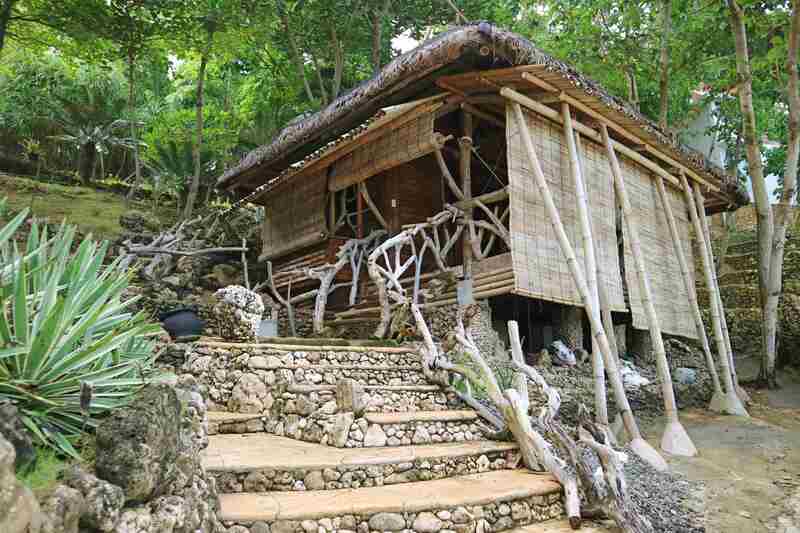 Years ago, its owner, Ms. Rowena Amancio went on an island hopping activity in Guimaras during her holiday vacation. Back then, she was working for an airline company in Switzerland where she has been living for decades. Their boat passed by a precipice blanketed with thick foliage and trees. Curious, she went on to explore said area with some locals. Up the mountain she climbed and into the forest, she found the spot in which she envisioned to build her retirement home. In 2014, her vision was realized. 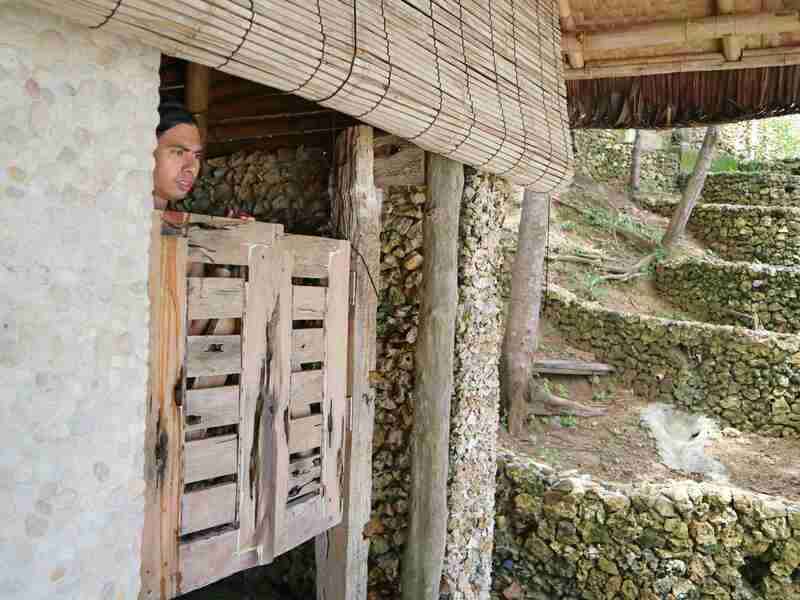 With the help of the locals, her new home was built, far from civilization with a beautiful view of the sea. Later on, she turned her private sanctuary into a rustic resort and called it Nature’s Eye. Last July, I had the chance to stay in this resort by invitation of my friend, Cai Dominguez (Travelosyo). In the middle part of this year, Cai quit his corporate job to become the manager of Nature’s Eye. Traveling to Guimaras to visit Nature’s Eye is an adventure in itself, be ready to hustle. Here’s a guide on how you can get there. Note: As soon as you arrive at Jordan Wharf, you will be approached by tricycle drivers. 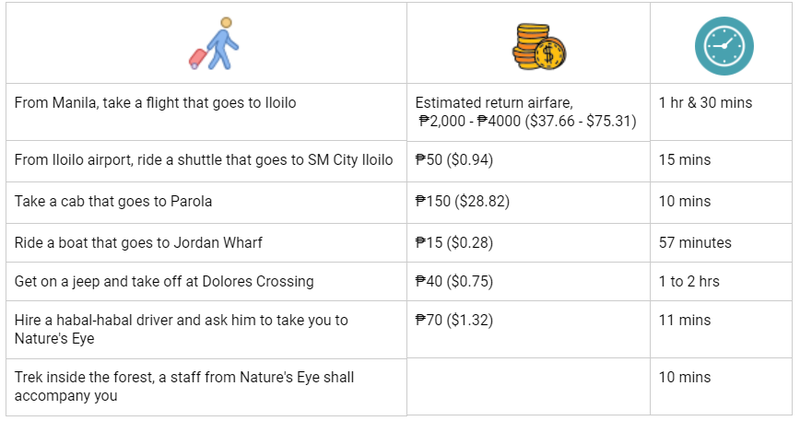 If you don’t mind paying ₱500 ($9.41), they can drive you directly to Dolores Crossing. Travel time is only 45 minutes. Nature’s Eye Beach Resort has 5 villas that were intentionally built, away from each other to offer privacy to their guests. During our stay, we were able to try two of these, the Sunset Room and the Ocean View Upper Deck. 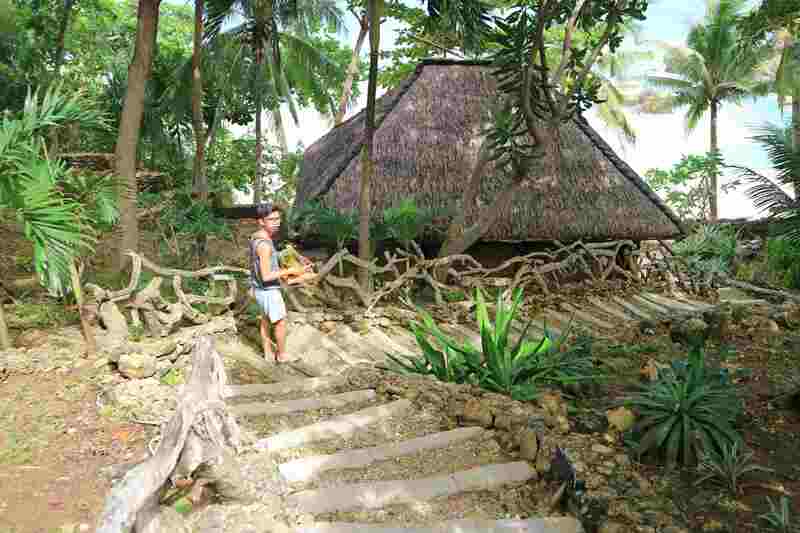 This villa has a traditional Bahay-kubo design (nipa hut), situated right in front of the beach. It has one queen size bed, fan, native bathroom, and a balcony. The waves on this part of the beach are often turbulent and raucous that I am not recommending it to light sleepers. There were times that it sounded a lot like we were under a storm. It can be a bit unnerving if you are looking for some peace. In my experience, however, the cacophonous sound of waves was distinctly comforting that I had no trouble finding sleep. The bathroom is unlike any I have ever tried before. Half of the flooring is made of thick planks of wood, the other half is of pebbles. It has a huge sliding door, too heavy to close that I sometimes had to ask my friends to open or close it for me. 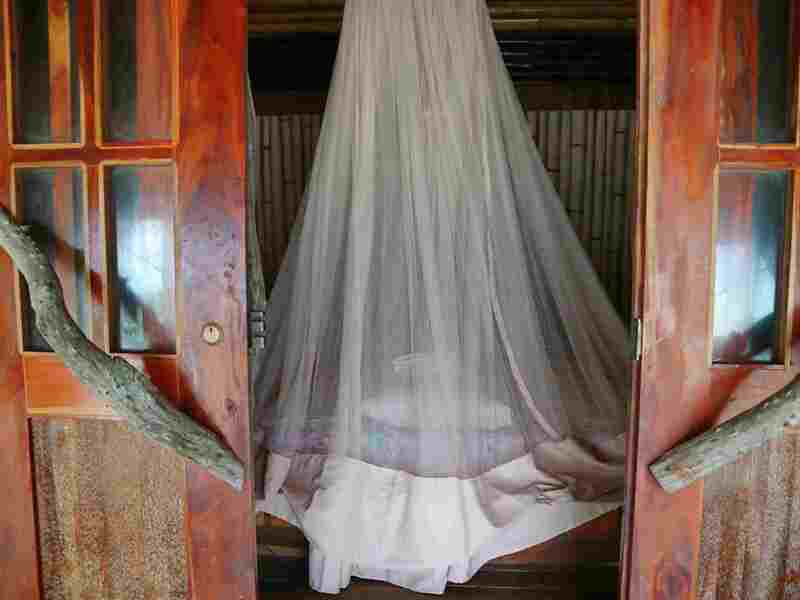 But inside the bathroom, there is a pair of saloon-swing doors and it gives you the wonderful view of the sea. It gave me a little apprehension taking a shower there knowing that it is not completely closed, but this part of the beach is empty and there were no boats passing by to risk being seen by anyone. Showering in an almost open space can be quite liberating, never have I showered with such feeling before that I felt sorry we had to move to another room on our second day. 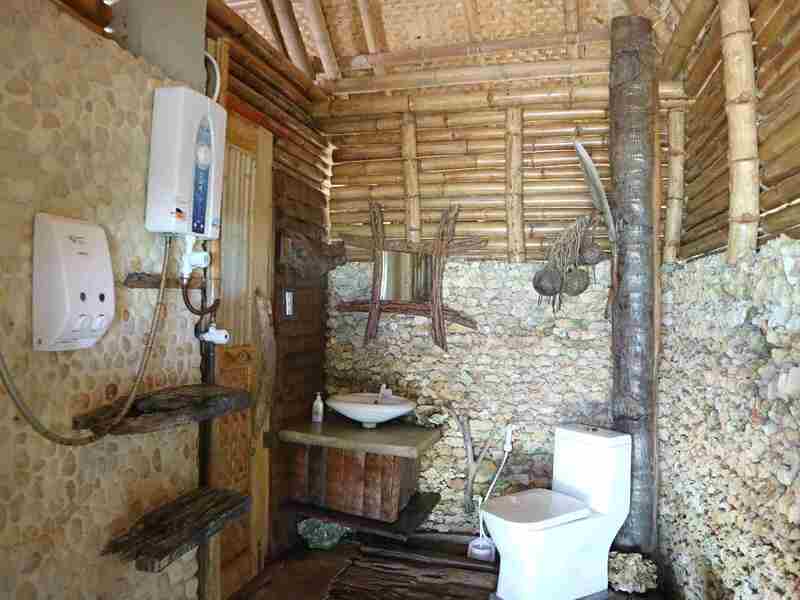 For something that is made entirely out of indigenous materials, I was expecting to find bugs or insects particularly in the nook and cranny of the rocky floor and walls of the bathroom; but no. The entire room was remarkably critters free, no ants, no termites, no roaches. 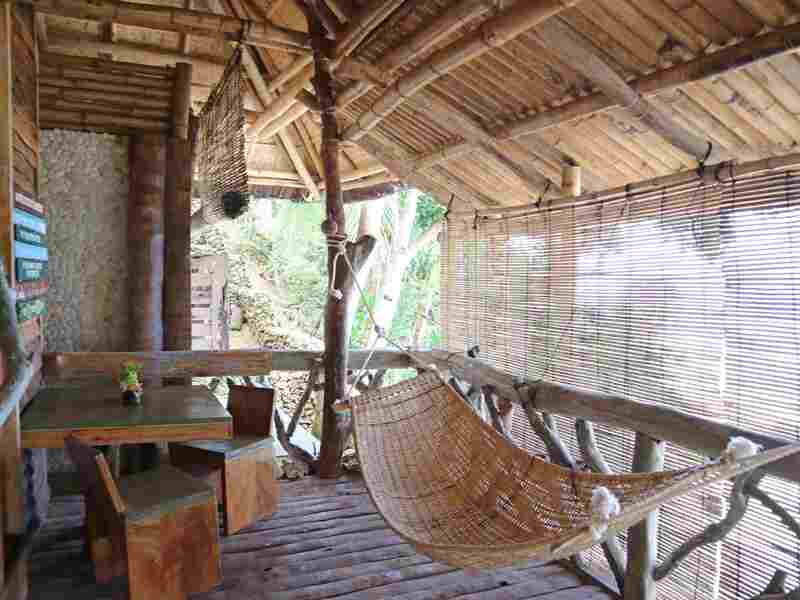 Cai said that this villa is subjected to a quarterly pest control procedure to keep the insects at bay. During this time, they close it for 3 days. The room is located on the lowest part of the resort that it entails a lot of patience and stamina to go to and fro to it. The room rate is ₱2,115 ($39.84) per head for a 2D1N stay. The Ocean View is a 2-story villa with more spacious rooms. This is where they usually put guests in large groups. We stayed on the upper deck, it has a king size bed, a private bathroom, AC, and a balcony with a hammock that looks out to the sea. 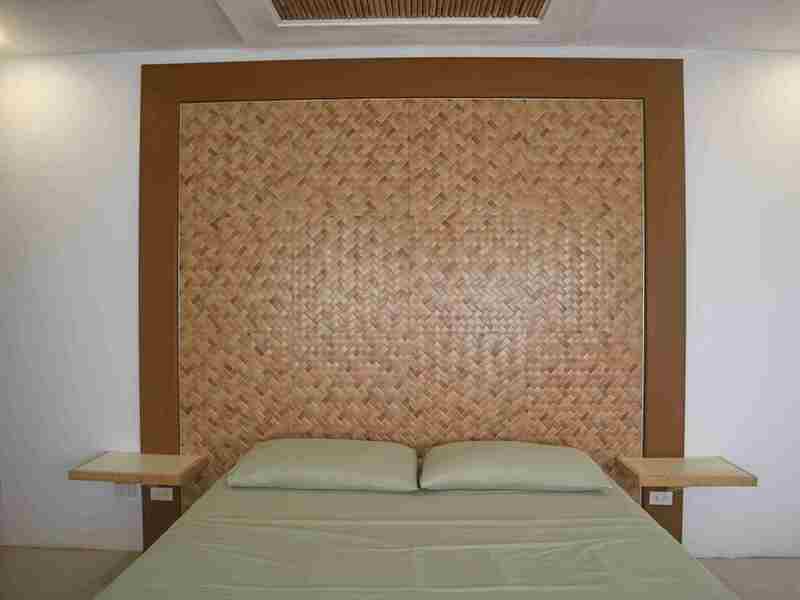 The room has a modern design with some native accents like the handwoven wall on top of the bed. 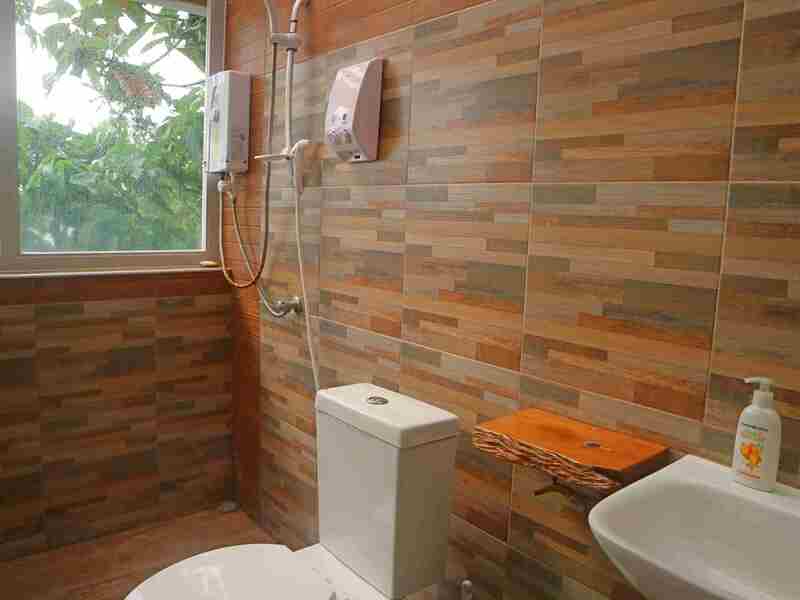 A 2-day stay in this room is ₱2,700 per head ($50.86). We didn’t stay in this room but I think it’s worth mentioning. The Cliff Villa, as the name indicates, sits on the top of a cliff. The most interesting part of this room is its open shower area. It has no roof and low walls, the only way you can be seen by people while showering is if anyone used a drone. Having said that, this room is recommended for couples. Note: These are off-season rates and only valid until the 30th of September. 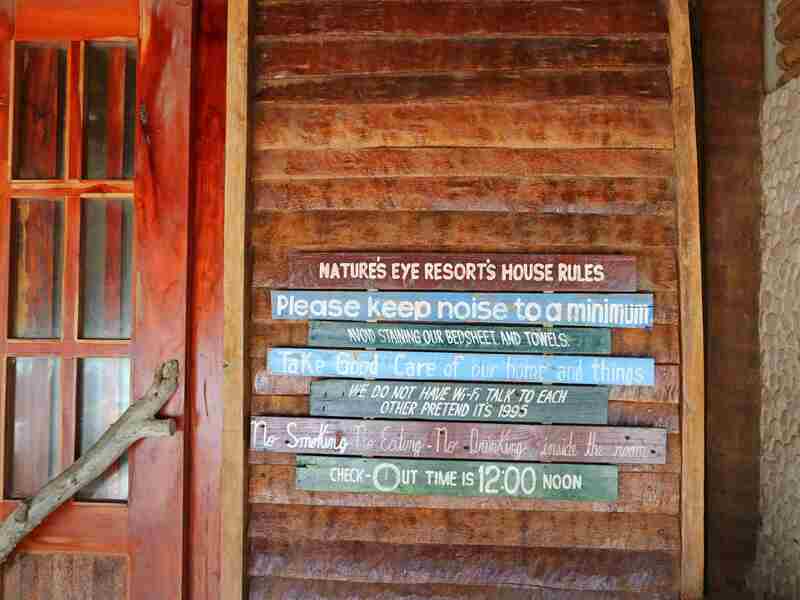 A 2D1N stay at Nature’s Eye is inclusive of meals; breakfast, lunch, and dinner and a 3-hr island hopping activity. Their island adventure is scheduled once per day at 9:00 a.m. You will be taken on 2 islands, the boat fee is already included in your payment at Nature’s Eye Resort, but you have to shoulder the eco fees. They serve homemade Filipino food and every meal that we had were fresh and delicious. Guimaras is known for having the sweetest mangoes in the Philippines so don’t leave the resort without trying it. You may request the staff to prepare this for you for dessert. Nature’s Eye Beach Resort sits on a hilly landscape, be prepared to use your climbing skills to good use. During our stay we had to ascend and descend their rocky steps all the time so even when I was eating a lot, I was comforted by the thought that at least I’m burning the calories. The resort is continuously improving, constructions of more rooms and other facilities are ongoing. My friend and I were there for 3 days and 2 nights but I wish I could have stayed longer. I loved being surrounded by nature, away from the noise of the city life and all the stress it brings. Nature’s Eye Beach Resort may be a bit hard to get to, but I can understand and appreciate the owner’s decision to choose its location. I also respect the no Wi-Fi policy even when it was a struggle given how social media dependent I am. But when you want to have a time-off, do a detox, find your soul if you will, you need to limit your exposure from the source of your stress. 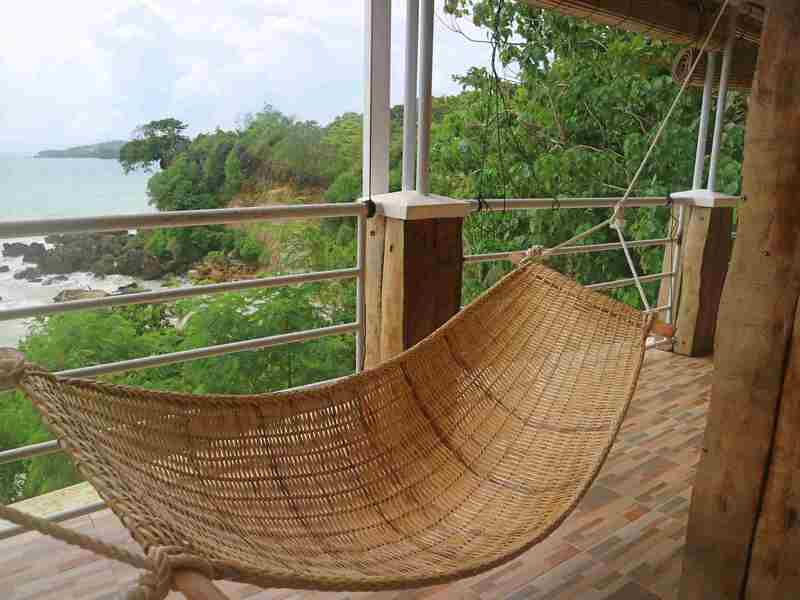 And that’s one of the best things that this Guimaras resort can do for you. It will make you forget even for a short time your daily concerns. It will give you that moment of peace that you might have been longing for. It offers a venue for reflection, rest, and to the romantic couples, intimacy. Miss Rowena designed the resort with the wellbeing of her guests in mind. It is secluded, private, and lush with nature. Here’s a video of our Guimaras trip. This looks like an interesting and peaceful hideaway. 5 hours of straight travel, wow! I enjoyed watching the video especially the idea that you reunited with Cai there. The quote “Pretend it’s 1995” brings a lot of nostalgia.